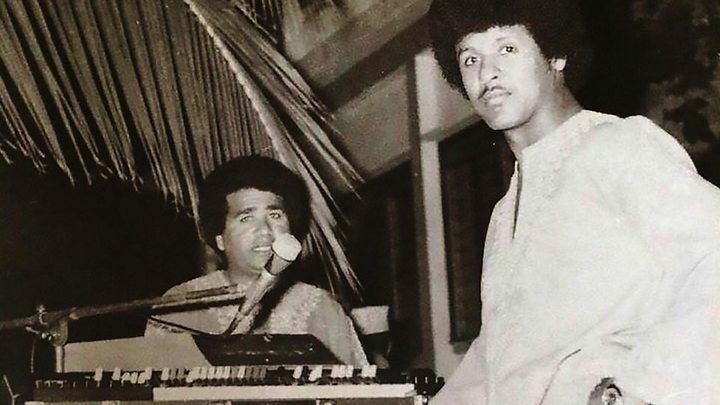 The discovery of thousands of lost recordings from Somalia’s golden era of music is a timely reminder of the country’s remarkable hybrid sounds, writes BBC Somali’s Yasmin Ahmed. A newly released compilation, Sweet As Broken Dates: Lost Somali Tapes from the Horn of Africa, features some of the recovered audio. Over the last few decades, Somalia has become a symbol of poverty and anarchy. 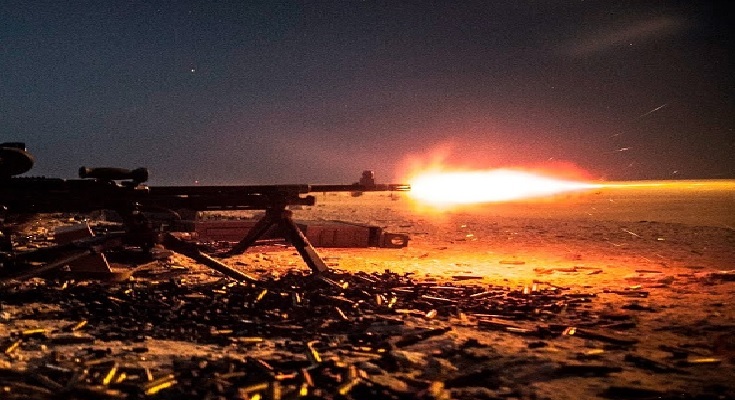 But while recent Hollywood blockbusters Captain Philips and Black Hawk Down have depicted civil war and modern piracy in Somalia, people who lived in the capital, Mogadishu, in the early 1970s will tell you a very different story. 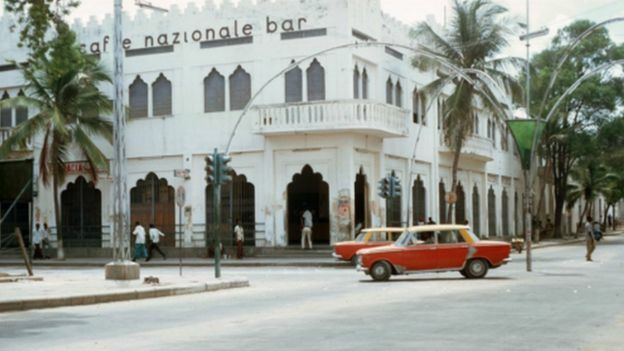 Whitewashed coral houses, cafes and restaurants with Moorish arches graced the streets of Mogadishu. Men sported afros and flared trousers, while women dressed in their colourful baatis (a classic cotton dress) and diracs (loose-fitting dress) with their heads uncovered. Evidence of centuries of cross-cultural trade and migrating nomadic tribes can be seen in the architecture, and this cultural influence also explains the remarkable hybrid sound of Somali music. Now Somalis around the world can relive these rich memories of Mogadishu through an archive of more than 10,000 tapes which music producer Vik Sohonie was given access to by the Red Sea Cultural Foundation in Hargeisa, capital of the self-declared republic of Somaliland. Funk, rock, jazz and Bollywood influences feature in the rich and varied recordings. The tapes take us back to a time of relative economic and political stability in Somalia. Although the country was under military rule, the arts – particularly music – flourished and the period became known as the golden age. 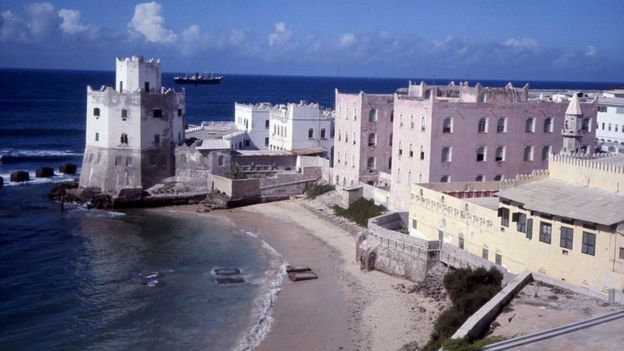 Mogadishu was home to popular hotels Al-Uruba and Jazeera, where young fans would flock to the dancefloor to hear groups like Iftiin and Dur Dur perform. 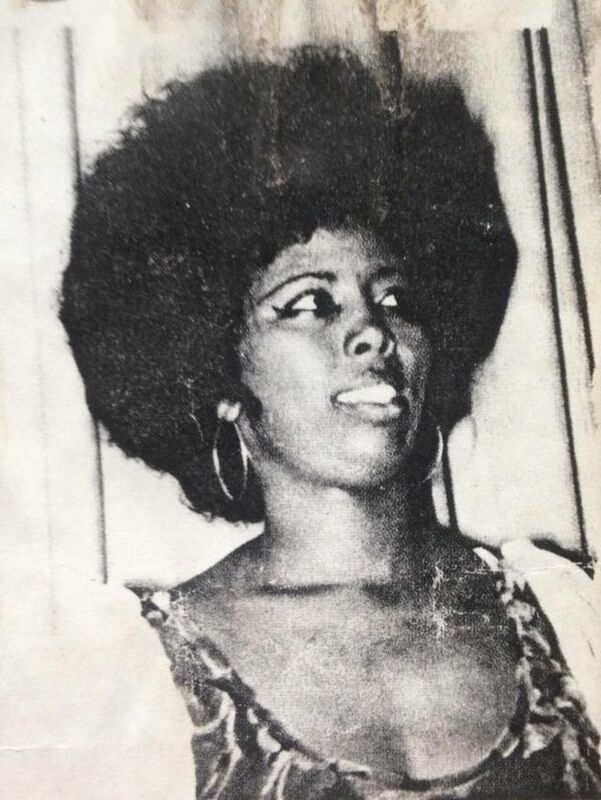 Somalia’s music industry was effectively nationalised under authoritarian leader General Siad Barre, who brought most industries under state control in the hopes of ridding the country of clan-based politics. During this period, record companies could not release music to the market. The National Theatre was a revered forum where music groups produced remarkable music, but the performers became attractive propaganda tools for General Barre’s message. Theatre companies known as bands, notably Iftiin Band and Waaberi Band, expressed nationalism in their lyrics and style. One song, the Waaberi Band’s Oktoobar waa tee, waa tumaa? (What is October, which one is it?) 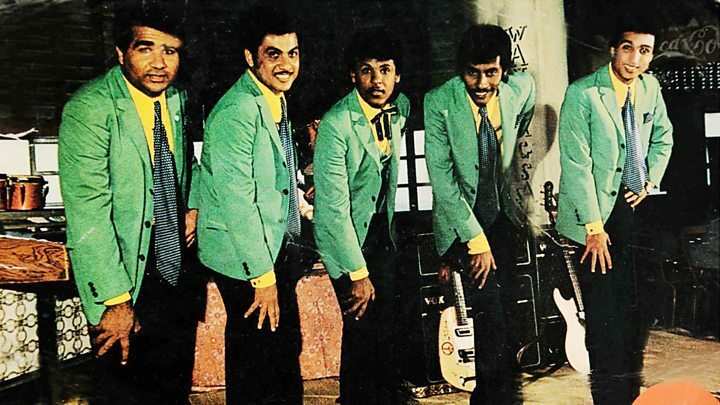 became a hit after the Barre-led military junta came into power on 21 October 1969. 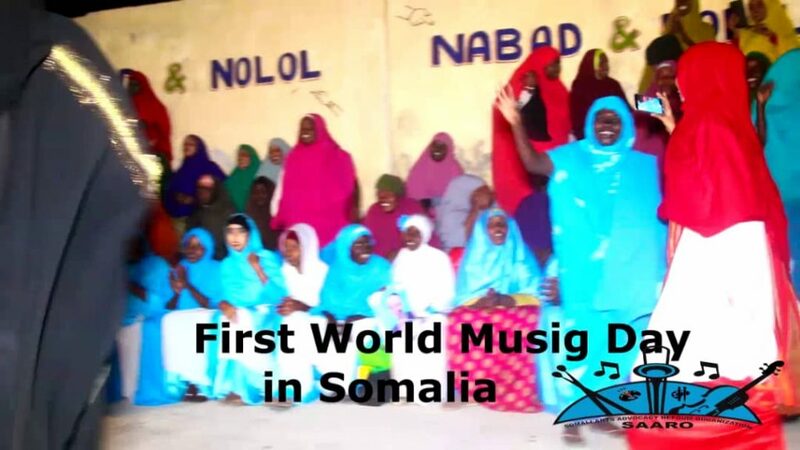 The song recounts various key Somali historical events which have taken place during that month. Oktoobar waa tee? Waa tumaa? What is October, what is it? Hadii ay tahay teenii taariikh ma leedahay oo maxaa lagu tilmaamaa? If it ours, does it have history and how is it marked? 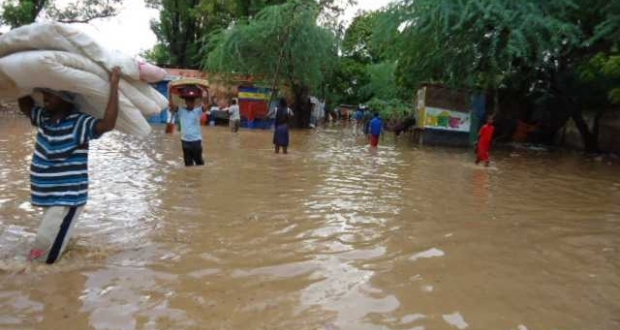 Waxaa lagu tilmaamaa maalinti dhagax tuur Oktoobar. It marks the “stone-throwing” 1949 October uprising. Waxaa lagu tilmaamaa markaan caalan taagnay Oktoobar. And October marks the month our flag was created. It marks the 21st of October, the day the revolution started. Before her successful solo career, Mursal won a nationwide talent competition called Tartanka heesaha hirgalay (The Singing Competition) and performed with the Waaberi Band. Mursal, like many other performers in bands like Waaberi band, Shareero and Dur Dur, fled Somalia after decades of war and now lives in the diaspora. 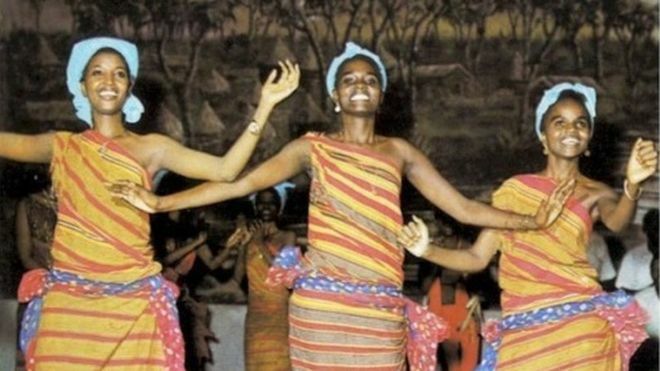 During the 1980s, “dhaanto”, an ancient Somali folk song and dance was revived. Historically, it was played without instruments, with hand-clapping and foot-stamping used as rhythmic accompaniment. Nomadic tribes would take their camels into their ranch at night and venture out to compete with each other. This folk style was enhanced with instruments by the likes of Shareero band and Khadija Qalanjo, the first artist to begin the modernisation of dhaanto. The new sounds bustles with an electrifying synthesis of different musical instruments, and shares rhythms and characteristics with reggae. Somali musicians of that time debate whether dhaanto preceded reggae and dub. “Over the years, different cultures and ancient traditions have influenced and shaped music,” says Abdinasir Aideed, a bass player for dhaanto artist Danan Hargeysa. This period was a time when society began to accept female artists, when the melodiousness of their voices was likened to the sweetness of dates. In Mogadishu’s prominent nightclubs, female artists attracted more followers and drew more crowds than their male counterparts. “They used to call us all kinds of nicknames before the 1970s. 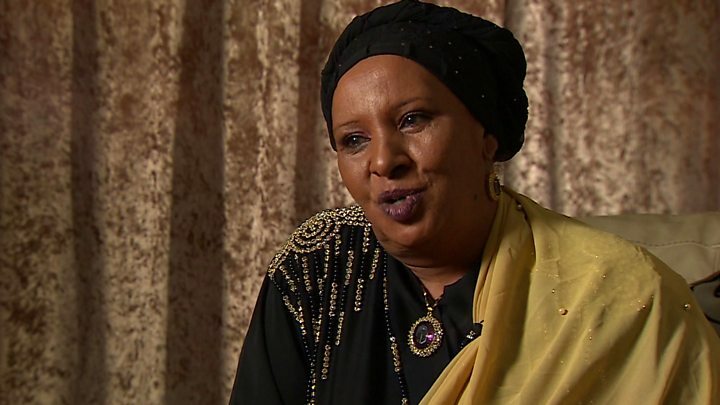 Some women used to hide,” 70s star singer Khadra Daahir told the BBC. “People said we were dead, lost and a disgrace to our people,” she recalls. But Daahir says that society’s perception of women transformed within a decade. “It was a miraculous era. During the 70s, people became open-minded, they got used to women singing, dancing and performing. But Daahir was no stranger to unconventional careers. Before her success in music, she was an athlete and basketball player, competing in regional and national competitions. After decades of trauma, Somalia is now going through a process of cultural and political healing. 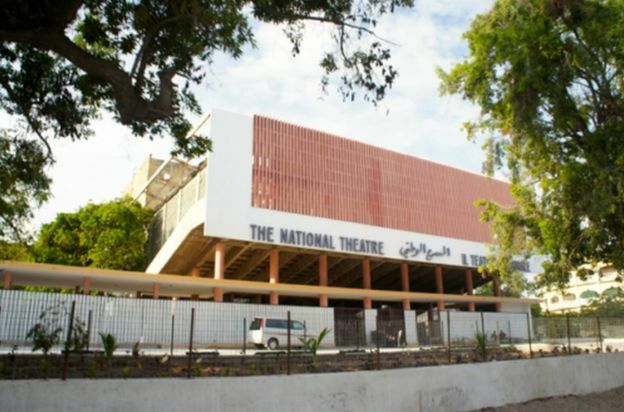 Under a national recovery plan, the National Theatre is being rebuilt, having been destroyed during the conflict and a restoration of the arts is under way. Funk, pop and reggae may not be musical genres that people associate with Somali music. For Somalis today, the golden age is not the thing of the past but a symbol of hope for the future. Sweet As Broken Dates: Lost Somali Tapes from the Horn of Africa is released on Ostinato Records.